In November 2014, in recognition of the serious health threats posed by the Ebola virus outbreak in Guinea, Sierra Leone and Liberia, former Department of Homeland Security (DHS) Secretary Jeh Johnson designated these three countries for Temporary Protected Status (TPS) for a period of 18 months. The DHS subsequently extended the TPS designation through May 21, 2017. In September 2016, former DHS Secretary Jeh Johnson determined that the widespread transmission of the Ebola virus in Guinea, Liberia and Sierra Leone that led to the TPS designation had ended. As such, the former Secretary announced the termination of TPS for nationals in the United States from these three countries. The termination of TPS for Guinea, Liberia and Sierra Leone is effective on May 21, 2017. Nationals of these three countries who have since obtained other lawful immigration status or authorization to remain in the United States will be permitted to remain in this country. 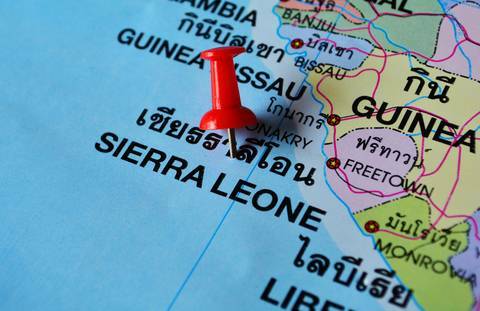 However, nationals of Guinea, Liberia and Sierra Leone whose TPS is terminated and who do not have authorization to remain in the United States have been directed to either prepare for their departure from the United States or apply for any immigration benefit for which they might be eligible. In light of the new immigration enforcement priorities articulated by DHS Secretary Kelly and the Trump Administration, individuals from these countries on TPS should be aware that they could be targeted for immigration enforcement action once TPS is terminated. For more information on TPS and the TPS termination for Guinea, Liberia and Sierra Leone, immigration benefities or immigration enforcement please contact Kolko and Associates, P.C.